Womenstuff Hunt Started.... and Apparence is part of it !! 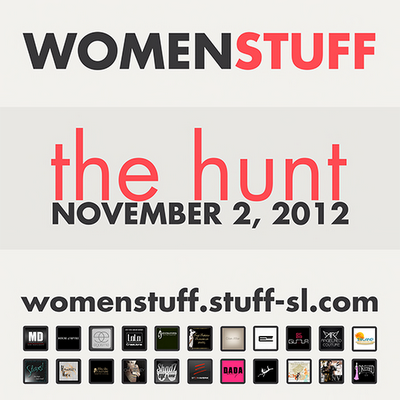 Yes.... finally Womenstuff Hunt has started !!! 200 Designers in a gridwide Hunt and Apparence Skins & Shapes is part of it !! Come and find Skin Celine - hidden in the mainstore !! Let me introduce you to EMMA... a gorgeous Beauty !!! 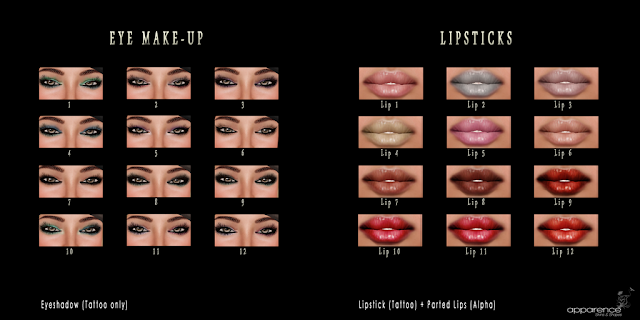 High quality Skin with realistic details like pores and veins and a beautiful set of make-ups !! 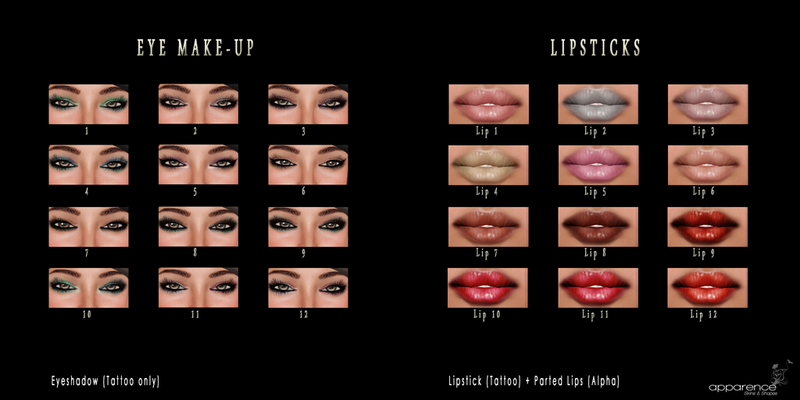 EMMA is available in 5 different skin tones and 8 different make-ups. With each skin you will get 3 different cleavage types: normal, enhanced and dehanced. Shape is also available in store: choose between the modify and copy only version !! 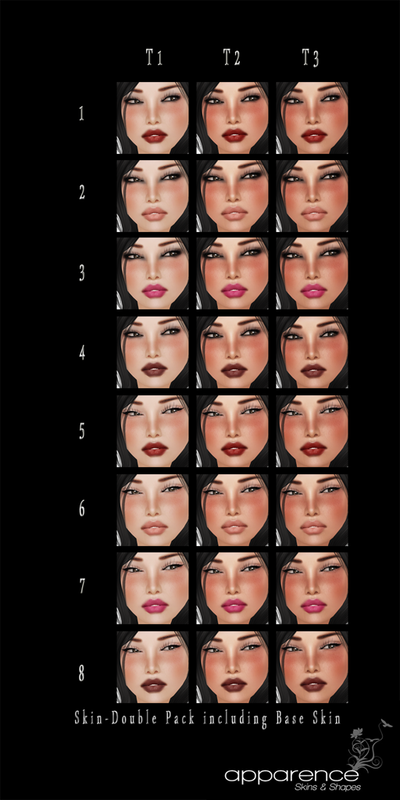 ONLY 2 WEEKS LEFT - EACH SKIN ONLY 99 LINDEN !!! Fashioncentric Hunt will start April 1st.... and this is what I made for you !! Join Apparence Inworld Group (apparence vips) and get a 40% discount on normal price! !